The Res-Q-Rench is designed to work with rocker lug handline and supply line couplings and is the only folding spanner that will work with most 4" (100mm) and 5" (125mm) Storz locking couplings. 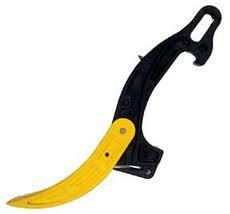 With its integrated carbide tip window punch, the Res-Q-Rench can quickly pop out windows during vehicle extrication. 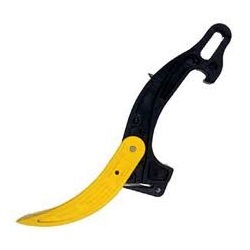 The heavy-duty seat belt cutter makes short work of vehicle seat belts and other web materials. The Res-Q-Rench easily pries open windows, props doors open, has an integrated residential gas valve shut-off and oxygen bottle wrench.